The Costa Mesa City Council will meet for it's first meeting of June on Tuesday, June 3, 2014 beginning at 6:00 in City Council Chambers at City Hall. According to the agenda for that meeting, HERE, for the first time in a very long time there will be no closed session preceding it. There are also no presentations this meeting. The Consent Calendar, which is normally presumed to be routine items which may be voted on in one vote, contains some interesting items. I suppose if you scrolled down through the list you may find items that interest you... there are several million dollars on the list. Remember, if someone - a council member, staffer or member of the public - pulls any item from the Consent Calendar for separate discussion and vote it will automatically be trailed to the very end of the meeting. Such is life in the land of "tranparency". 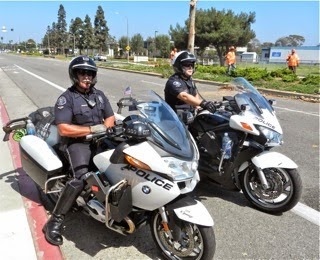 Items #4, HERE, and #5, HERE, deal with Traffic Management Services to be provided by the Costa Mesa Police Department for the 32nd Agricultural Association. 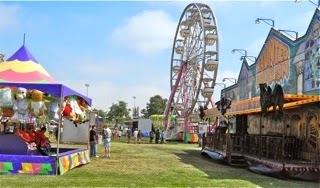 #4 deals with this year's Orange County Fair and #5 is for an event next April. Item #6, HERE, is the appointment of city negotiators for the Costa Mesa Fire Association negotiations and the authorization to proceed with the financial analysis required by Mensinger's COIN scheme. Assistant CEO Tammy Letourneau and two lawyers from Liebert Cassidy Whitmore - Richard Kreisler and Laura Kalty will be the team. There are only two other items on the agenda - Public Hearings. The first, HERE, is the discussion of the Business Improvement Area (BIA) Reauthorization and Resolution to Levy Annual Assessment. The staff report gives you the history and the accomplishments over the years. You may also find their proposed budget for participating in city events during the next fiscal year, HERE, of interest. Public Hearing #2 is the second mandatory Public Hearing on the Draft Charter. (I almost typed "daft" - seems appropriate!) You can read that staff report HERE. It includes the Draft Charter, HERE, a comparison of General Law Cities and Charter Cities, HERE, and several changes recommended by Mayor Jim Righeimer's hand-picked Pension Oversight Committee for inclusion in the Charter, HERE. Those who read these pages regularly already know that I don't think we need to become a Charter City. There has been NO GOOD REASON provided for this serious change in the way we are governed. We've been a General Law City for 60 years and have gotten along just fine. 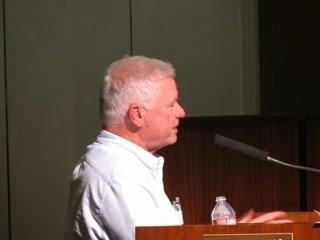 The voters made their feelings known overwhelmingly two years ago when they defeated Jim Righeimer's Charter, 60%-40%. This time he, on the surface, at least, has kept his nose out of the process. However, as one who has observed the process closely for a year, I can tell you that it had his paw prints all over it. This will likely be the last chance interested parties have to address the council on the Charter proposal before the council decides whether or not to include it on the November ballot at their June 17th July 1st meeting. In case you didn't notice, the silence from City Hall on this version of the Charter has been "deafening". 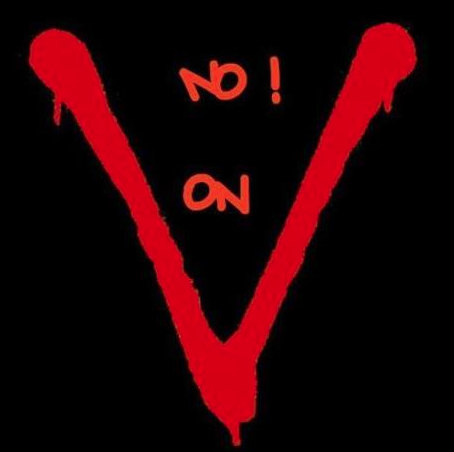 Two years ago all you could hear were the drumbeats in favor of what eventually became Measure V. This time, crickets. Of course, if (I say that tongue in cheek) the council majority votes to place this iteration on the ballot the hoopla will begin in earnest. 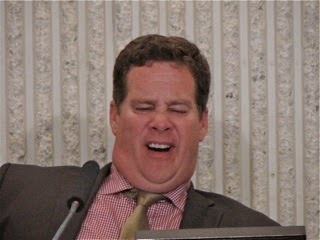 In any event, I'll be very surprised if this council meeting goes longer than 10:00 Tuesday - probably a lot earlier. We'll see. 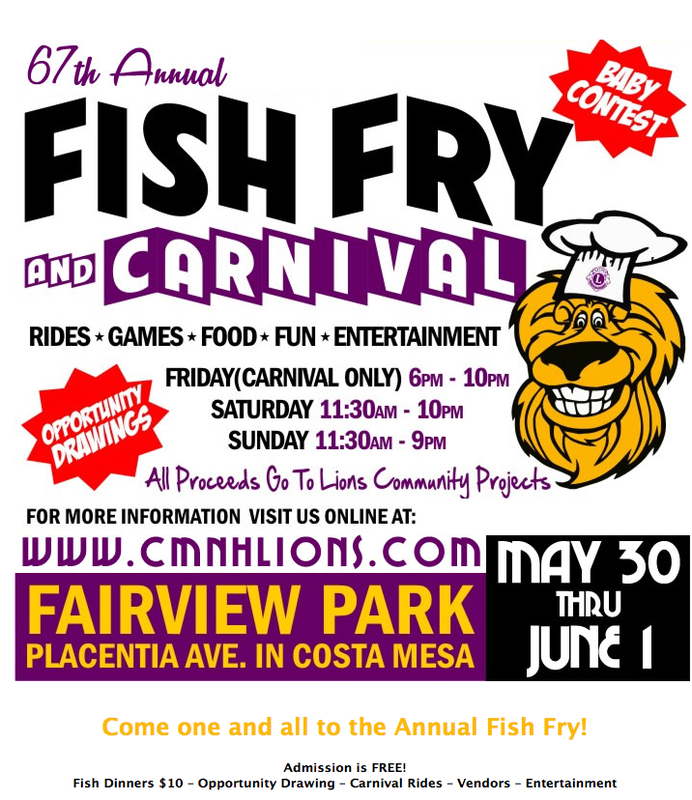 In case you've missed it, tomorrow, Friday, May 30th, is the first day of the 2014 Costa Mesa-Newport Harbor Lions Club Fish Fry! Tomorrow, from 6 - 10 p.m., is the Carnival Only. Saturday and Sunday it's the full megillah - fun, games, food, baby contest, entertainment... just what you've come to enjoy for 67 years! 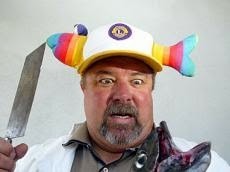 Club President Mike Scheafer and his whole team invite you all to a memorable weekend of fun. 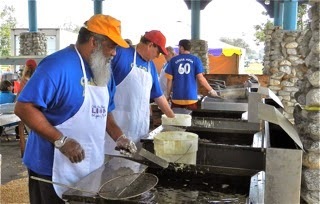 For more information go to the Lions Club website HERE. See you at Fairview Park this weekend! Just a reminder... the service for my friend, David Stiller, will be held as previously announced, on Friday. 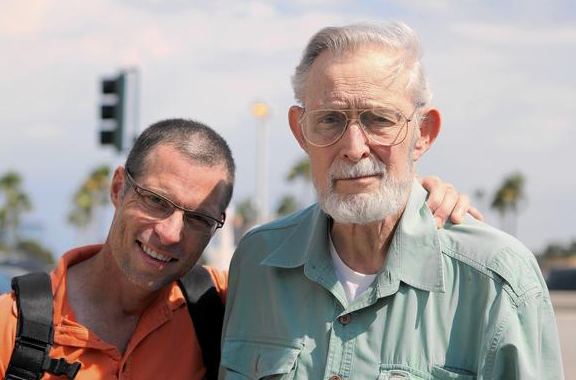 You will recall that my friend and community activist David Stiller, shown above with his son, Eric, passed away in March and that his family chose to have a memorial service for him later this month, on Friday, May 30th, at 11:00 a.m. at the Presbyterian Church of the Covenent in Costa Mesa. This is a reminder for you of that event. I provided details about it HERE in March and nothing has changed - same time, same place. The family asks for those planning to attend the event, which includes lunch, to contact Eric Stiller by email - ericstiller@yahoo.com - to aid in their planning. Dave Stiller was a wonderful guy. I wrote about his passing HERE. Daily Pilot reporter Bradley Zint - who shares a love of classical music with Dave - wrote a very nice piece about him HERE and the Daily Pilot editors also wrote about him, HERE. The family has requested that, in lieu of flowers, charitable donations may be made to David's beloved classical music radio station KUSC: www.kusc.org. They can be reached by email at membershipservices@kusc.org, or send a check to KUSC, PO Box 77913, Los Angeles, CA 90007-0913. 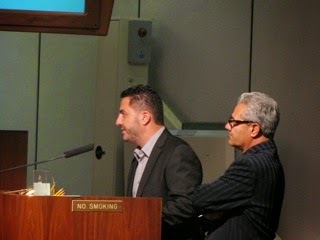 The Costa Mesa Planning Commission met last night and most of the agenda went as anticipated. However, there were some twists and turns. Public Hearing #1, the request for modification of a conditional use permit to authorize an automobile towing function at the site of a car repair facility on Logan Street - anticipated to be denied - didn't quite go that way. The proponents made a strong case for approval, so the commission shoved it out to a date uncertain so the staff and applicant can collaborate on the proper language for the strict conditions of approval. I expect we'll be seeing this one again in June. The vote was 3-0, with commissioner Tim Sesler recusing himself from the deliberations because he works for the Auto Club and the applicant is an Auto Club contractor. 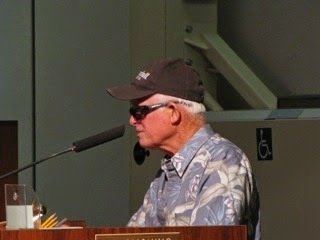 Public Hearing #2, a small lot subdivision on Rochester Street, went smoothly. In fact, several commissioners practically slobbered over themselves when commenting that this was EXACTLY the kind of project the new Small Lot Ordinance anticipated. I thought more than one of them might hurt himself, patting himself on the back... The vote was 4-0. Public Hearing #3, Peter Zehnder's project at the very end of Pacific Avenue where it abuts Fairview Park, replaces five ramshackle units with five ownership units on just under a half-acre. While not quite as clean as the previous project, the commission approved it, 4-0. One sidebar that came during this discussion was a peculiar mini-rant by Chairman Jim Fitzpatrick, who riffed about people who come before the commission to whine about things instead of "doing the hard work". The dozen or so members of the audience at the time found themselves just shaking their heads, trying to figure out what he was talking about. It was not the only time he seemed just a little disjointed in his dialogue last night. Public Hearing #4, the proposed residential-live/work development of 28 units that kind of snakes around at the corner of Harbor Boulevard and Hamilton Street to Charle Street, slithering past the Costa Mesa Community Garden and backing up to several businesses, including Red I Rentals. During the 90 minutes of discussion concerns were expressed by contiguous business owners - including Red I Rentals' Tim Lewis, who attended despite cataract surgery that day - about being forced later to move because of the noise and odors from their businesses. The solution - which was built into the agreement and recorded against every property - was that EVERY buyer of ANY of those units IN PERPETUITY would have to acknowledge they were aware of the possible offending elements near them. Even with that being said, a few of the business owners seemed skeptical of the plan. And, this project - which has been percolating for more than two years - is far from a GO. There remains the successful mitigation of ground water contamination that's being dealt with right now. Eventually, the commission crafted verbiage to add some conditions and remove some others that were unnecessary and they voted to move the project forward, 4-0. 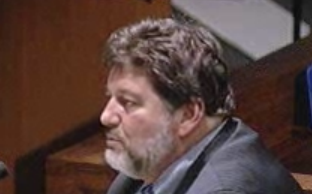 However, during this discussion Fitzpatrick - who seemed to be having trouble stay awake - made an astounding admission.... he said, as he attempted to placate business owners, that not too long ago he had stopped in to Rudy's Garage - which occupies a little notch in the project footprint - to see if he'd be willing to sell his property so this project could be "cleaner"! My jaw dropped when I heard that comment. What in the world is the Chairman of the Planning Commission doing trying to broker a deal for the developer? No, he didn't slur his speech, but it was certainly the kind of statement one wouldn't be surprised to hear come out of the mouth of someone not entirely in control of his faculties. In fancy bit of "quick-pitching", it took the commission two minutes to dispatch New Business #1, the resolution finding the 1-year and 7-year Capital Improvement Programs to be in conformance with the General Plan. And, it only took a short time longer to discuss and slightly modify the text of New Business #2, their Goals for the next fiscal year. They will be fine-tuned and be part of a joint Planning Commission/City Council Study Session at 4:30 on June 10th in Conference Room 1A. During that brief discussion Vice Chair Rob Dickson used his smart phone to do some research from the City's database on the 17th Street Specific Plan. This is the second time in as many meetings - and the third time this year - that members of the commission have done independent research using mobile devices during deliberations and the information gleaned from that research was used making decisions. While this is understandable, it's not a healthy practice. For a sitting commissioner to use raw, uninterpreted data from unverified and possibly unqualified sources is dangerous territory. The city needs a statement of policy on this kind of behavior. We've all seen certain members of the City Council texting away, or surfing the net, during meetings. It's, at the very least, a distraction from the proceedings and quite possibly something much worse. It's possible that those devices could - and are - being used to gain direction or guidance from parties not part of the deliberations. Perhaps a solution would be that all such devices be held for safekeeping by the clerk during the meetings. If an emergency happens the clerk would be aware of it and alert the smart phone owner at the time. Something MUST be done. Today the City of Costa Mesa relayed information about the release of the Draft Environmental Impact Report (EIR) related to the settlement agreement involving John Wayne Airport that has been in place since 1985. You can read that press release HERE. That information includes links to the Draft EIR and more information on the settlement agreement, plus time and dates for two community meetings for the public to become more informed on this issue. Since the beginning the County of Orange, the City of Newport Beach, the Airport Working Group (AWG) and Stop Polluting Our Newport (SPON) have been the parties to this agreement. The City of Costa Mesa, not a signatory to the agreement even though Costa Mesa Eastside residents are severely impacted by airport traffic, has supported the negotiations in the past. 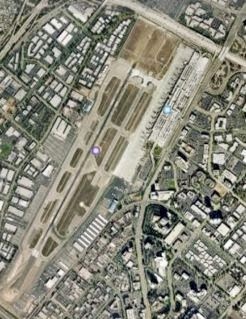 If you're interested at all in the future of John Wayne Airport and this agreement, please click on the link above and the subsequent links contained therein. In a meeting pushed out one day because of the Memorial Day holiday, the Costa Mesa Planning Commission - under the guidance of Chairman Jim Fitzpatrick - will meet tonight, Tuesday, May 27, 2014 beginning at 6:00 p.m. in City Council Chambers to discuss more development, the Capital Improvement Programs and the commission's goals, HERE. The first of four public hearings, HERE, involves what will probably be the denial of a request for an auto repair shop on Logan Street to add a towing capability. Public Hearing #2 is a request to sub-divide a 10,101 square foot lot and build two, two-story single family residences at 389 Rochester Street, HERE. 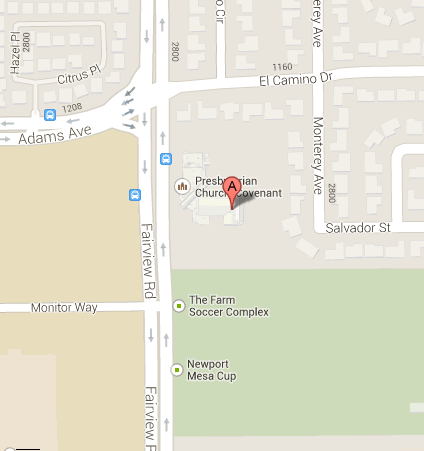 Public Hearing #3 is a request from prolific developer Peter Zehnder to build a 5-unit two-story detached residential development on just under 1/2 acre at 2294 Pacific Avenue, HERE. 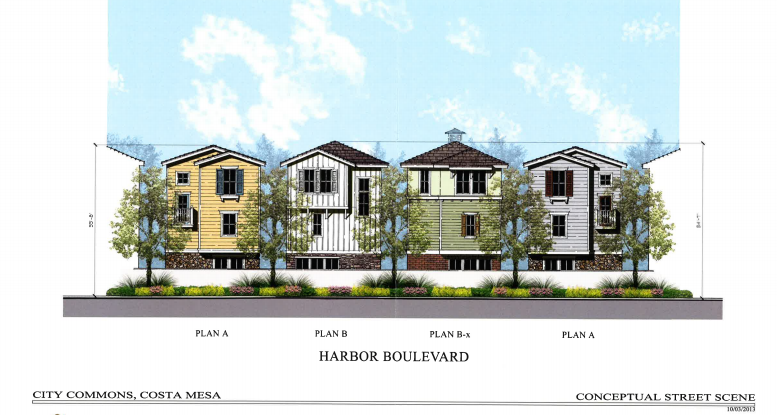 Public Hearing #4 is a request for a development of 28 three-story residential and live/work condominium units at the corner of Harbor Boulevard and Hamilton Street, HERE. New Business #1 is the General Plan Conformity resolution for the one-year 2014/2015 and seven-year 2014/2021 Capital Improvement Programs, HERE. The staff report includes attachments that show more than $28 million in Capital Improvement Programs for the Fiscal Year 2014/2015, of which the CEO has recommended just over $19 million for completion. The seven year Capital Improvement Program list shows, for the period 2014/2021, nearly $202 million in projects planned. Tighter monitoring of Group Homes. Revising or revoking Specific Plans (Newport Boulevard and 17th Street). Revise /Update/Consolidate the Urban Master Plans. Consider Monument Sign Standards and Accessory Structure Regulations. Shalimar traffic and land use. Train Code Enforcement Officers on parking regulations and ticketing of on street vehicles. Review the 4 Neighborhood Improvement Programs. Consider a Business Improvement District, an Overlay or a Specific Plan in Airport Industrial Area. Consider Parking Structures on City Parking lots and improve access to businesses. Consider "incentives and flexible development and land use standards to promote and encourage motel conversions and redevelopment." for motels. Limit long-term occupancy - they're going for "ZERO" long-term stays. Review the Conditional Use Permits for long-term stays. Monitor Neighborhood Improvement Task Force Annual Motel Inspections and "identify properties for Title 20 investigations and potential nuisance action." Review Zoning Code Chapter IV - Citywide Land Use Matrix - to determine if changes should be made to which uses should be permitted, which should requie a CUP and which should be permitted. Consider sunset provisions for some CUP's - presently CUP's run with the land. Consider annual certifications or inspections. Consider suspending annual CUP inspections due to staffing constraints. Consider the integration of the two Code Enforcement groups. Create an Economic Development Plan. Continue 19th Street and Randolph Avenue improvements. 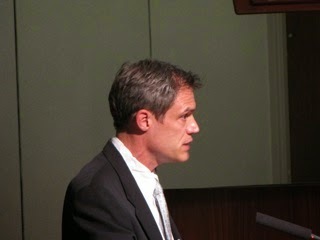 Review recent Planning Commission decisions, going back two years on projects implemented. Review Live-Work projects and regulations to determine if the standards and regulations currently in place are appropriate today. As you can see, these goals are aggressive and, in several cases, heavy-handed. It's going to be interesting to see how the discussions of a few of them play out. See you there.